The term Industry 4.0 has been on everyone’s lips for some time now. 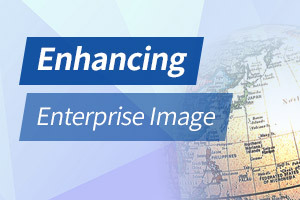 It is synonymous with digitalisation and connection of the complete industrial value chain. After dramatic developments at beginning of the industrial age such as the introduction of the steam engine, assembly line and later IT, the 4th Industrial Revolution is now marked by more and more smart factories. This change does not stop short of glass production, processing and finishing either. Many exhibitors at glasstec 2018 in Düsseldorf will therefore focus on the theme of Industry 4.0 and exhibit interesting developments. The truly revolutionary thing about this trend, however, is the digitalisation and connection of the entire industrial value chain – from order entry and upstream supplies orders to manufacturing and complete logistics. And when experts talk of the Internet of Things, this also means that the connection, of course, is no longer limited to your own “four factory walls”. All your suppliers and customers are also incorporated into this virtual network. This makes it possible to trigger order processes immediately and to state precise delivery times for even the smallest of batch sizes. Because both your material inventories and those of your suppliers are checked almost simultaneously to verify and/or lay down manufacturing timetables. In such a flexible production environment machines also plan their own maintenance intervals scheduling them in production breaks and over the weekend. Down times are to be avoided if possible. However, not all of them define Industry 4.0 in the same way. And, naturally, the requirements made on glass manufacturers differ from those made on window producers or finishers. But both supposedly convert their outfits into smart factories in small steps such as the purchase of new machinery or manufacturing robots. But the changeover is inevitable since new technologies are more efficient thereby increasing competitiveness while cutting costs. In this increasingly automated and digitalised production process software plays a key role because it is these programs that enable communication and digital connection. At a processor’s site, for example, there must be a high-performance overriding software that virtually “talks” to all machines while “staying in touch” with the outside world that also forms part of the network. Alongside a common language and the respective interfaces the digital interplay of all parties involved also needs a sound database to work on. In this network the master software performs the function of an overriding control centre. The software collects incoming customer orders, processes and coordinates all machine data. This means that order processes, maintenance and failure reports of the machines are also managed and handled by this central control software. To achieve perfect manufacturing capacity utilisation the software also assigns orders and items smartly and flexibly and, last but not least, also organises storage and logistics. At a smart factory the software therefore has to feature virtually unlimited dovetailing options for networking. For many years the paperless office has been on everyone’s lips – but without any tangible success. In the increasingly digitalised and automated production process low-paper and/or paperless manufacturing is already taken for granted today. One example: at each workstation monitors display the required manufacturing data. Status reports can be retrieved at any time and any place. This means the whole process will become transparent – from the first to the last moment. And this also makes it possible to carry out more quality controls. One example of change already taking place at many production sites is growing automation, which – in the figurative sense – can be seen as one step in the direction of Industry 4.0. 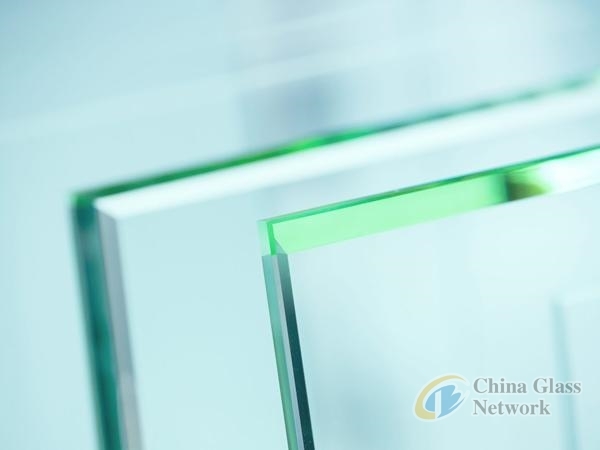 In glass processing laser technology is being used to an increasing extent. State-of-the-art laser finishing centres often meet all the needs of digitalised production. Lasers are used to apply extremely high-quality engravings to glass sheets. Any graphic design, any image or even any photo can be applied to glass sheets by means of lasering. Around the globe it is architects, in particular, who are increasingly demanding that glass sheets are finished in this way as attractive and representative façade solutions for facilities. The same lasers can also perform drilling and cutting processes or edge deletion processes. Permanent development of beam sources and improved software programs have increased processing speeds over the past few years and have also helped to put the oft lamented high power consumption in a perspective.